Winter ﻿Olympic Buzz in Calgary ! 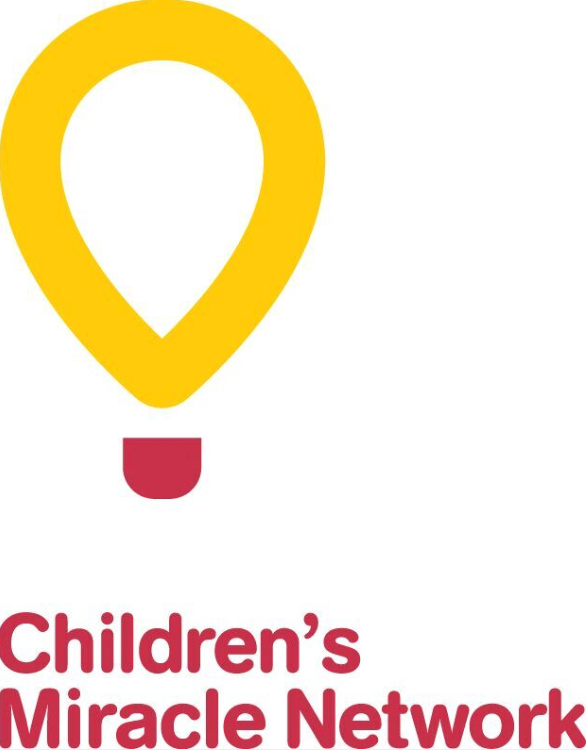 The heart-warming Canadian Tire commercials are back! The 2018 Olympic Winter Games are upon us and the excitement is palpable. The Olympic buzz has arrived in Calgary, and for some, it is stirring up memories from 30 years ago. 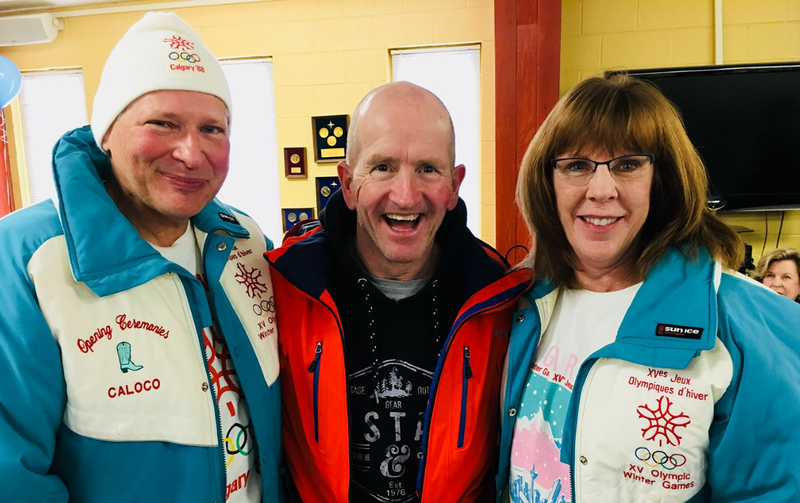 I recently saw a photo of my friends decked out in their best 1988 Calgary Olympic Games attire and posing with Eddie "The Eagle" Edwards (former Olympian, ski jumper and fan favourite at the '88 Games). Seeing those jackets brought me back to 1988, when I was a 10 year old boy growing up in SE Calgary. Even at that young age, I knew something big was happening. Little did I know that hosting the Games would have such a profound and lasting impact on the city I'm so proud to call home. Calgary won the right to host the 1988 Games after a vote by IOC members in 1981, leading the vote over Falun, Sweden by a 48-31 margin. 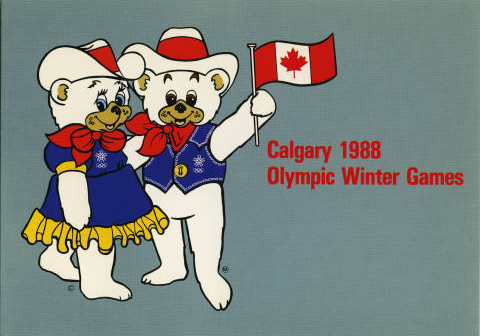 Calgary was the first Canadian city to host a winter Games, with Montreal being the first Canadian host in the summer of 1976. 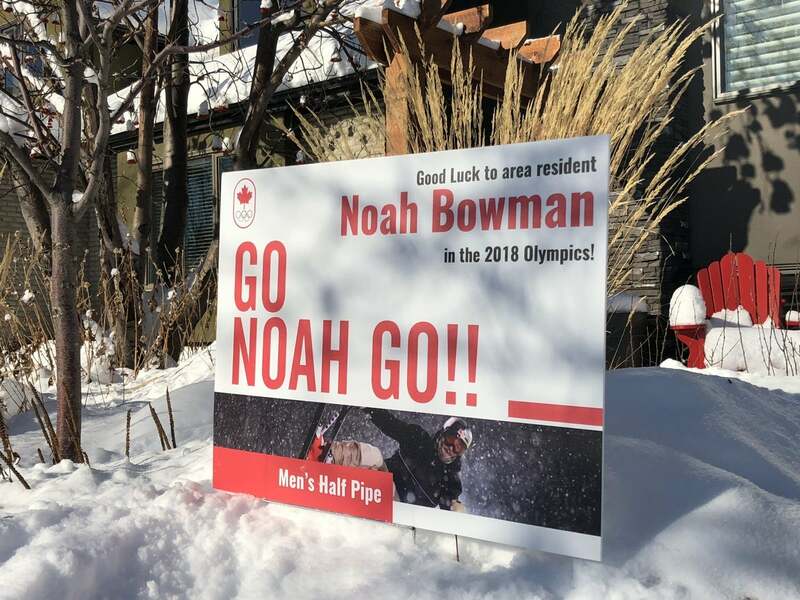 According to the records, 22,000 Calgarians signed up to fill 9,400 volunteer positions, a show of community support that Olympic officials say has yet to be matched. The Calgary Olympics ran on a record budget of $829 million, at the time the largest in the history any Olympic Games. The IOC concluded that $1.4 Billion of economic activity was created across the country (70% in Alberta) as a direct result of capital spending, increased tourism and new sporting opportunities created by the facilities. I found this interesting excerpt from a newspaper clipping in 1989 describing the success of the Calgary games. Even before the opening ceremonies, the 1988 Olympics thrust Calgary into the spotlight on the world stage. As the Games approached, Crosbie Cotten, then Calgary Herald writer, believed Calgary began to outgrow its "giant inferiority complex" that is "typically Canadian", replacing it with a new level of confidence. 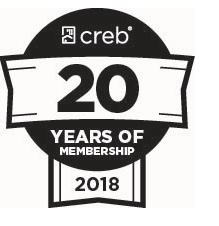 This increased confidence helped our city grow from a regional oil and gas centre, known only for the Calgary Stampede, to a destination for international political, economic and sporting events. 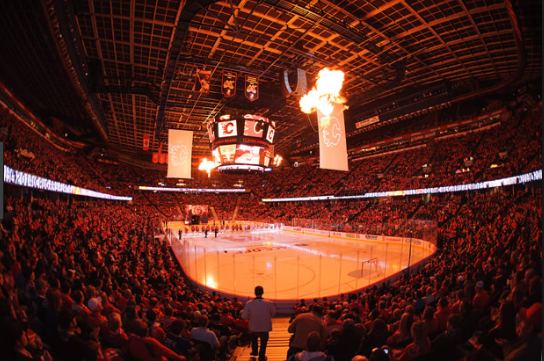 Since 1988, Calgary has played host to over 300 national and international sporting competitions, more than any other city in North America! Let's not forget the Olympic venues! 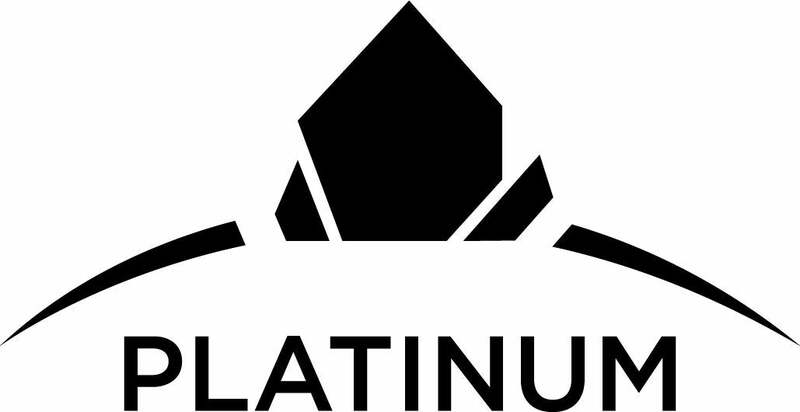 Built for the Games, these facilities have been used by Calgarians, visitors and training athletes for the past 30 years. 1. The Olympic Saddledome (now Scotiabank Saddledome) - a storied history since opening in 1983, tens of millions of visitors have been through its doors. Currently home to the Calgary Flames, Calgary Hitmen, Calgary Roughnecks; formerly home to the Calgary Radz, Calgary 88's and the Calgary Outlaws. 2. 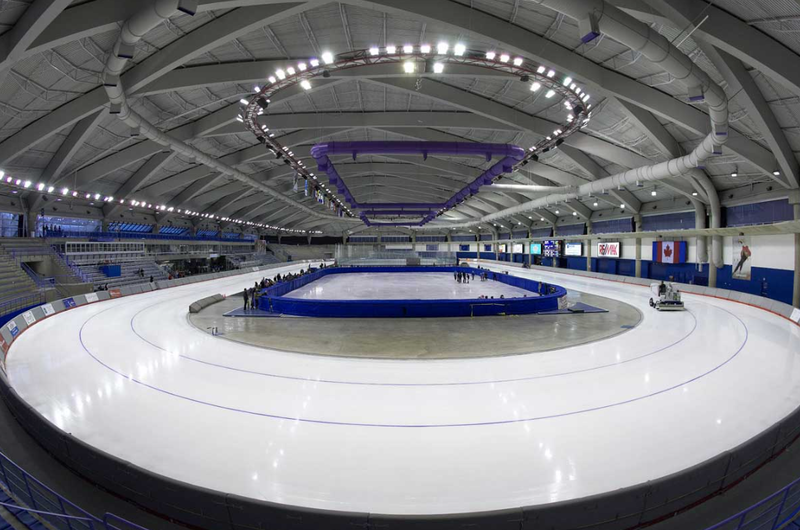 The Olympic Oval- Home to the National Speedskating Team and used by hundreds of international athletes over the years. If you have the chance, World Cup long or short track speed skating events are a lot of fun to watch! 3. Canada Olympic Park (now Winsport)- Host venue for the ski jump, bobsled and luge in 1988 and now a year round sporting destination for Calgarians. 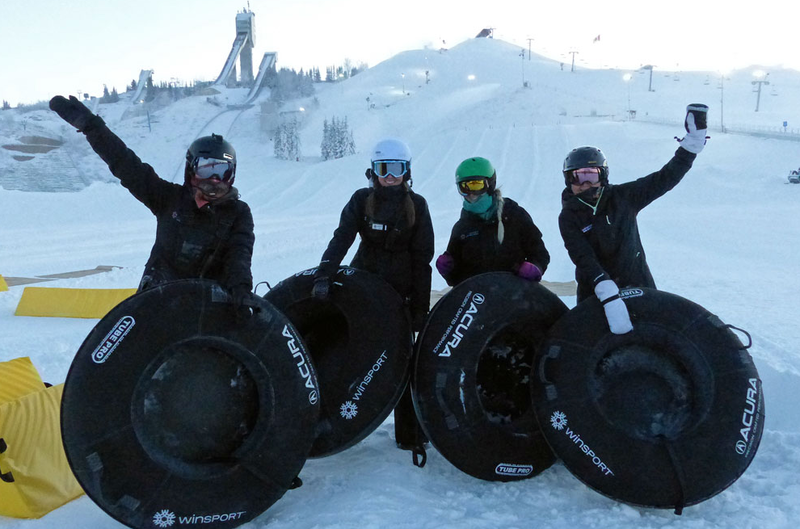 Winsport boasts everything from a Tube Park to Fat Tire Mountain Biking and everything in between. 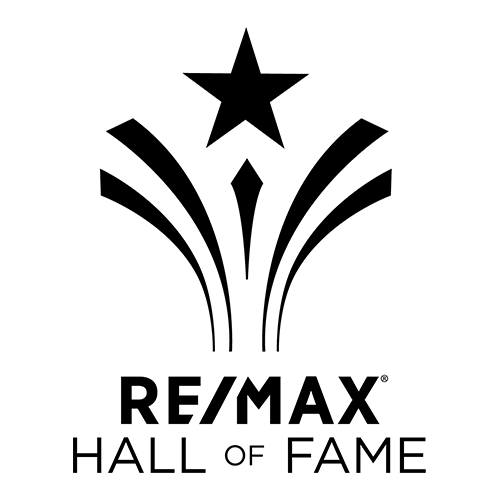 It's also home to Canada's Sports Hall of Fame and Hockey Canada. 4. Nakiska- Host mountain for the all events downhill skiing in 1988 and now owned by the Resorts of Canadian Rockies. Nakiska continues to be an exceptional ski destination, only a short hour away from the Calgary city limits. 5. 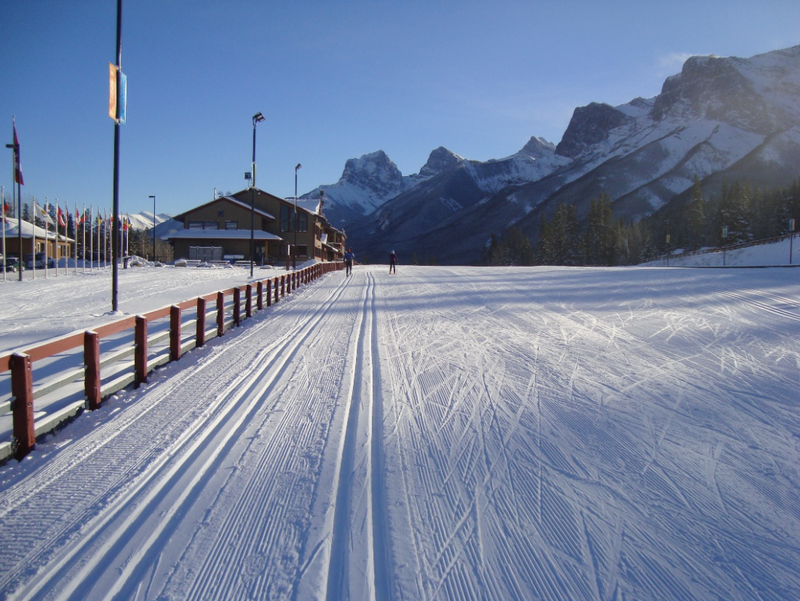 Canmore Nordic Centre- Host of the Biathlon, X-Cross Country and Nordic combined events, it is now managed by Alberta Parks and can enjoyed by hikers, cross-country skiiers and mountain bikers. They even have a disc golf course you can challenge on snow shoes - fun for the whole family! 6. Olympic Plaza- The home to medal presentations during the 1988 Games. 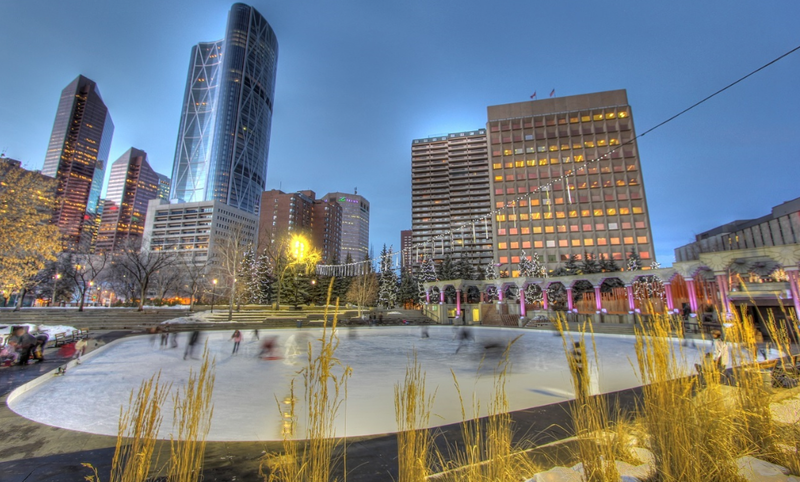 It is now used as public skating facility and is one of the top places for an outdoor skate in Calgary. Since hosting the winter games in 1988, Canada's medal count has increased significantly. In Sochi (2014), Canada won 25 medals, placing 4th overall compared to 3 medals (16th place overall) in Calgary in 1988. Although there are likely many contributing factors to this improved performance, it certainly helps that our up and coming Olympians have access to the world class facilities left behind by the '88 Olympic Games. It is difficult to have a conversation about the Olympics without it becoming political in nature, especially with discussions still pending on Calgary's potential 2026 Olympic bid. Whatever your stand or beliefs, this is the time to be swept up in the excitement of the events and throw your support behind our athletes! There are more than 3 dozen Calgary-born athletes representing Canada in competition in PyeongChang. Best of luck to them all. 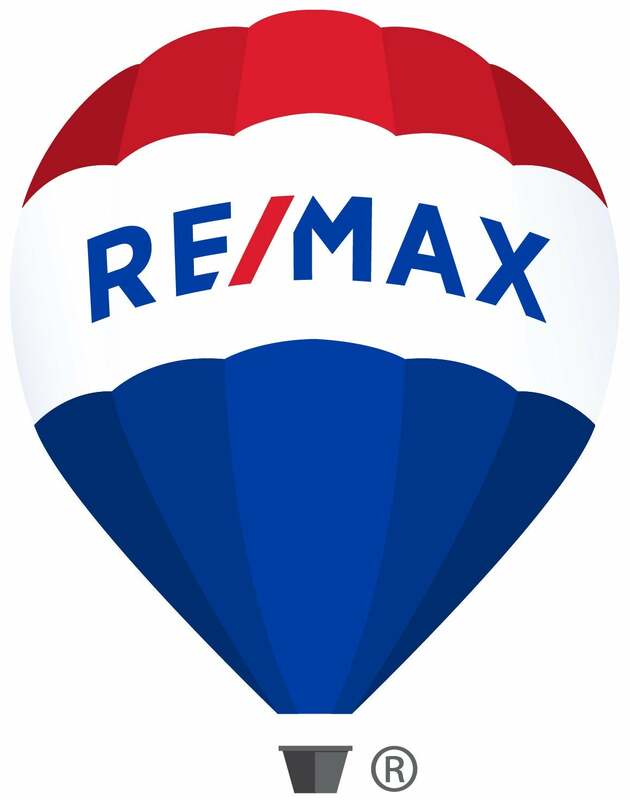 Thinking about Calgary Real Estate ? 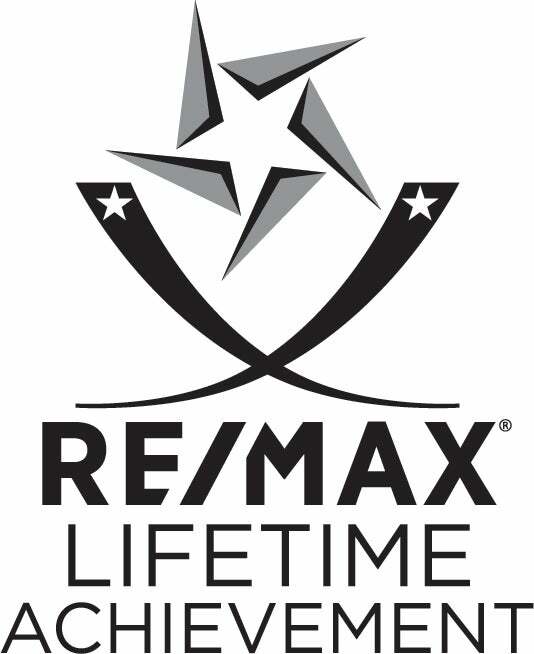 I'd love to put my 19 years experience to work for you.Please contact me here.